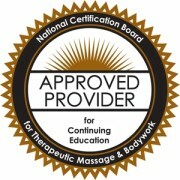 Massage therapy license requirements vary from state to state and the regulations change over time. As of 2015, Nebraska requires massage therapists complete 24 CE hours every 2 years for license renewal by November 1st of odd years. There is no CEU requirement for the 1st renewal date. Only home-study programs relating to ethics are acceptable for renewal. Up to a maximum of 7 credits will be accepted by the State.